I was lucky enough to be gifted a massage treatment at a Spa in Dubai for my birthday, thanks to my sister and brother in law. It’s the one named “On the Go Spa Ladies Salon”, located in Business Bay, Dubai, UAE. I don’t normally go for massages(they are quite the luxury, especially being a mother), and having only experienced a handful, I did notice a few things that were done just right by the masseuse that I visited yesterday. Though I mentioned my gratitude to her by saying Thanks, these are the unspoken words of thanks that should also have been brought to her attention, as well as all others that do their job just right. Thank you for giving me enough time to make myself comfortable before you began working your magic. Thank you for asking me whether I was comfortable, and giving me short but direct instructions that I am able to understand and carry out. Thank you for not chatting to me, and asking me about my day. Though I am generally a very sociable person, and I love to chat, now was one of those moments where silence was more important than discussing my family background. Thank you for handling me with care and making me feel so relaxed. Thank you for allowing me to remain modest, because massages are still so out of my comfort zone. Thank you for creating the right ambiance, to really get my head in the zone. Thank you for not slacking. You truly need arms of steel because when I try giving a massage, my arms normally fall off after a few minutes, so I can’t imagine what it must be like to keep that up for so long. Thank you for doing your best, and putting in your full effort. I don’t know you and your story. Perhaps you may be having a bad day, yet as a masseuse you are required to create zen when in front of your customer, which you very much did. 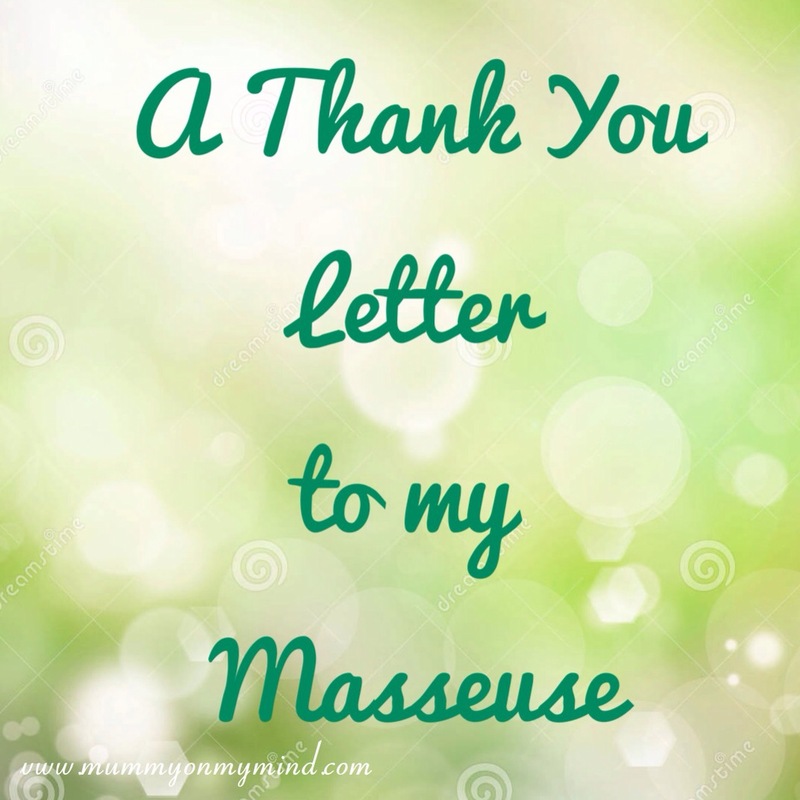 Thank you for ending the massage with a “Thank You”, so I know that you have finished, rather than swiftly walking away and leaving me guessing whether your job is done or not. Thank you for doing your job just right. Is there someone you would like to extend your gratitude to? A certain person or a a community of some kind? Please feel free to share your thoughts in the comments section below. Lol I know exactly what you mean!! Happy Birthday and many returns InshAllah!! On a different note, would you be interested in being my guest (on the blog) and writing about your journey with motherhood?! I would understand if you are too busy, but I would love to read a post of yours on my blog! Thanks!! Thank you!!! I will send you an email this evening InshAllah ? Massages are so awesome ! Oh, how I miss them. They sure are! Time you booked yourself in for one perhaps?